Remember your special moments together. 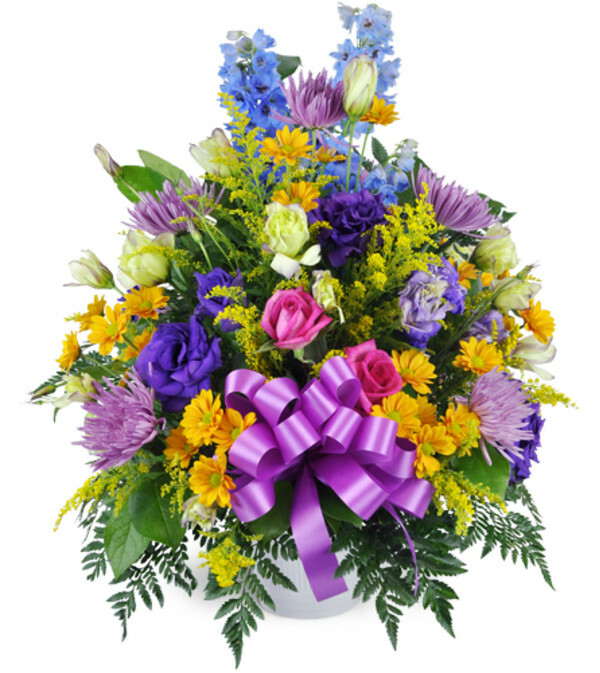 Brightly-colored blooms pay tribute to a cheerful and spirited life. Fuji mums, roses, daisies, and other jeweled-toned flowers are artfully arranged in a tribute container. My friend was very happy with the beautiful flowers and I appreciated how quickly and efficiently The Flower Stop was able to deliver them after being ordered. Awesome customer service, Fast same day delivery. The Flower Stop is a Lovingly Florist in Worcester. Buying local matters. Discover how Lovingly supports local florists. Copyrighted images herein are used with permission by The Flower Stop.